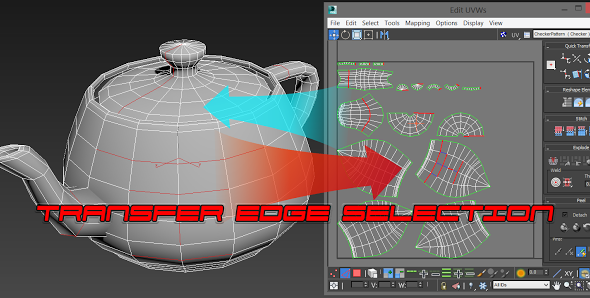 miauu’s Transfer Edges Poly to UVW allows you to transfer(convert) edge selection from editable poly object to edge selection in uvw modifier(uv edges) or to transfer(convert) edges selected in Unwrap UVW modifier(uv edges) to editable poly edges. Please, watch the videos to see how the script works. This is a commersial script. You can find more information here.